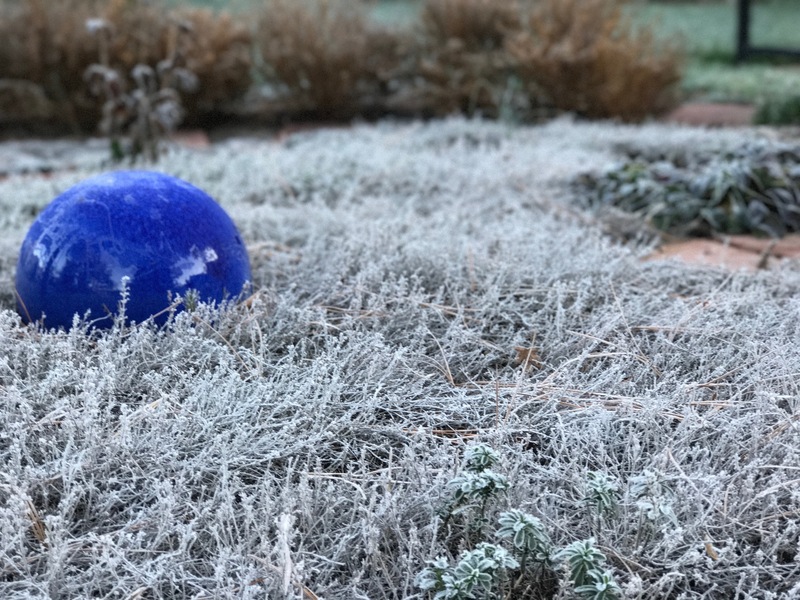 December Solstice (Winter Solstice) Thursday, December 21, 2017 at 11:28 am. This day is 4 hours, 51 minutes shorter than on June Solstice. The winter solstice indicates the shortest day and the longest night of the year in the Northern hemisphere and brings the first day of winter. Tomorrow night residents will gather just after dark at Meadow Park in my neighborhood for Cosmos & Cocoa, a sky-watching event planned by some tireless volunteers on our social committee. While we sip hot chocolate, experts from Morehead Planetarium at UNC will provide a laser guided sky tour with star charts. They will also bring several telescopes so we can view far off stars and planets. Speaking of Morehead Planetarium: On December 21, 1968 three astronauts who trained at the Morehead Planetarium were launched into space on NASA’s first manned mission to the moon. 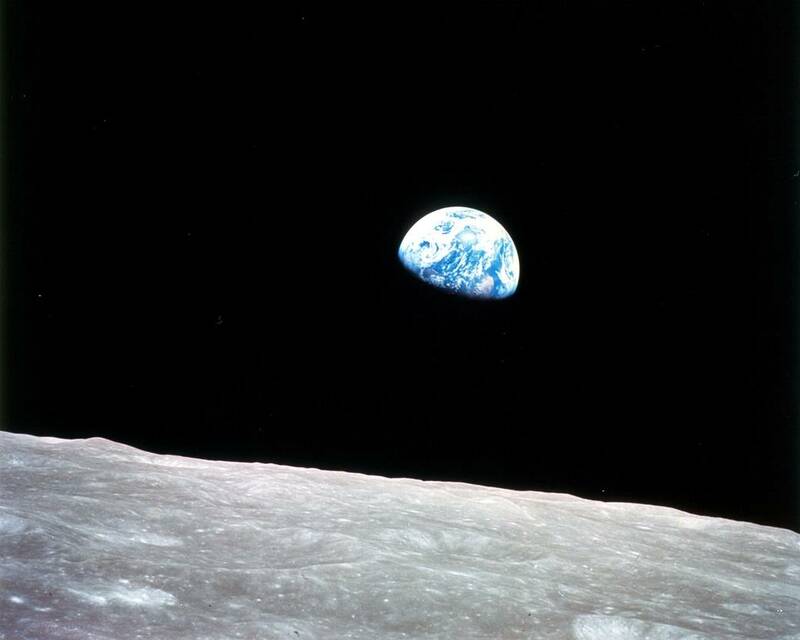 These men, Frank Borman, Jim Lovell and Bill Anders, orbited the moon on Christmas Eve and showed us a new way to view the earth. 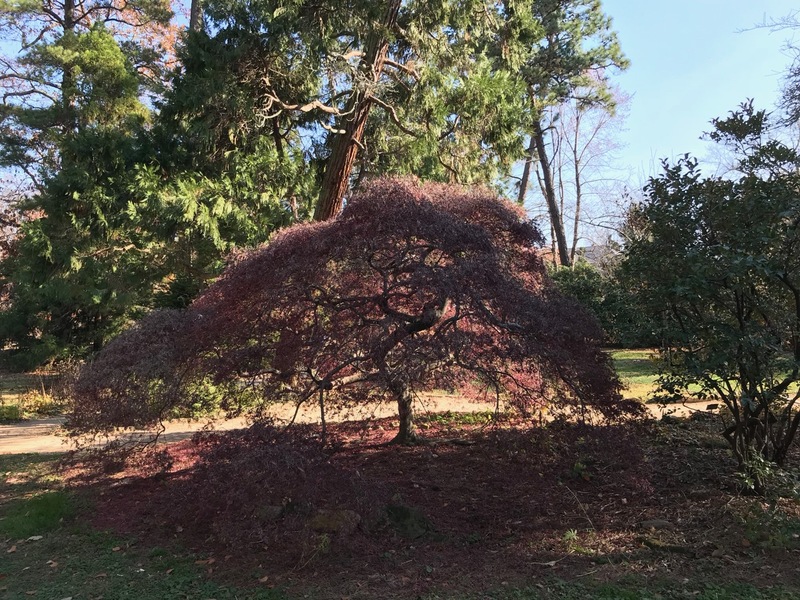 This entry was posted in garden and tagged Coker Arboretum, Morehead Planetarium, winter solstice on December 21, 2017 by pbmgarden. December Solstice (Winter Solstice) Wednesday, December 21, 2016 at 5:44 am. This day is 4 hours, 51 minutes shorter than on June Solstice. 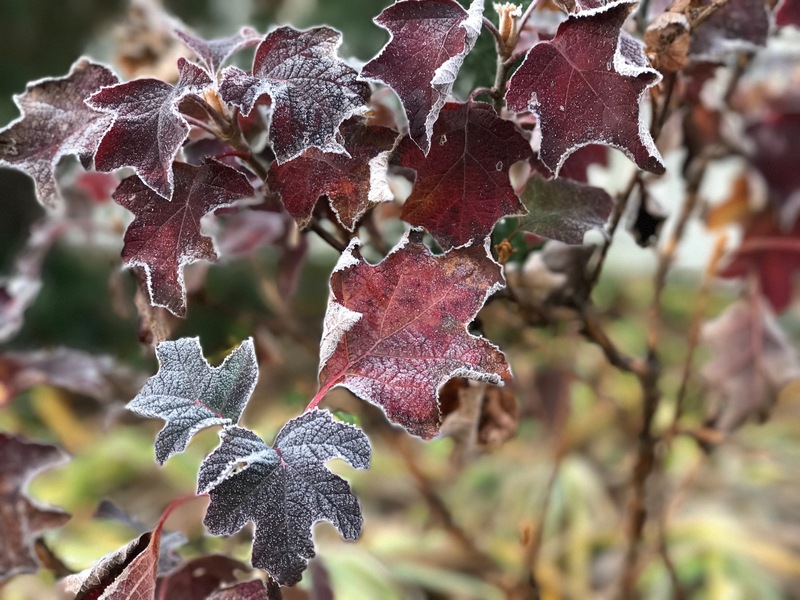 This entry was posted in garden and tagged Hydrangea quercifolia 'Ruby Slippers', labyrinth, meditation circle, meditation garden, winter solstice on December 21, 2016 by pbmgarden. Today is the Winter Solstice in the Northern Hemisphere. Arrival time in pbmGarden is 6:03 PM EST. 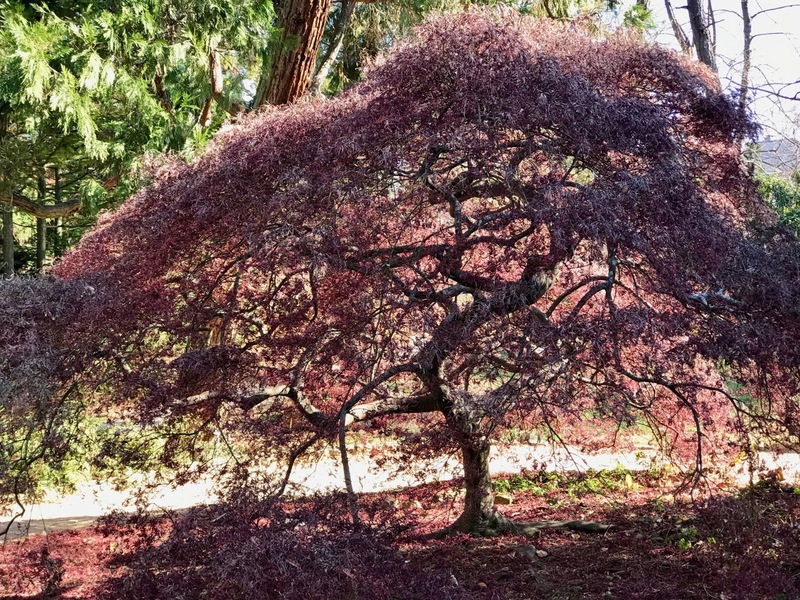 Tomorrow is Garden Bloggers Foliage Day (GBFD), hosted by Christina at Garden of the Hesperides. In anticipation I walked around the garden with the camera in late morning, when the air was quite chilly and the sky, quite gray and dull. Later the sun peeked out. 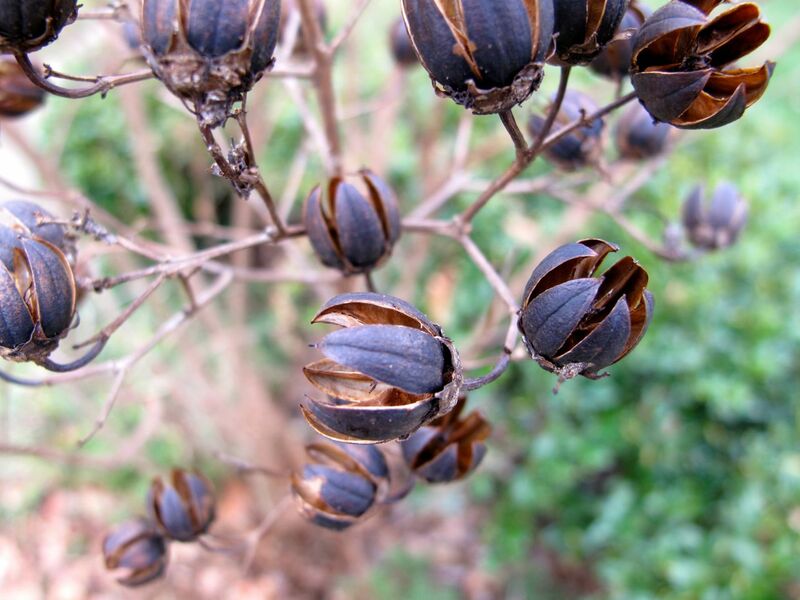 The Lagerstroemia (Crape Myrtle) lost its leaves long ago but the seed pods still provide a bit of interest and an interesting coloration on the bark of the Crape Myrtle’s trunk set my imagination to wandering. 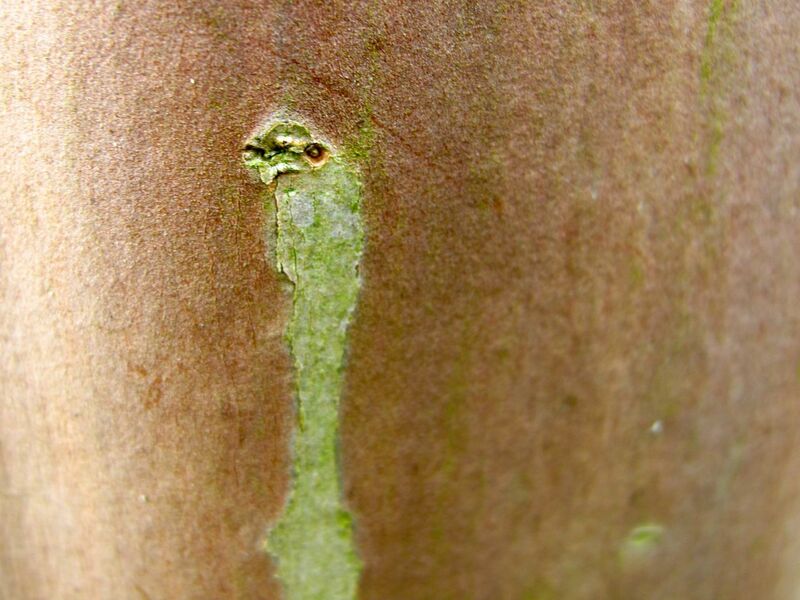 Intriguing mark on trunk of Crape Myrtle. The screening hedge of five Juniperus chinensis ‘Blue Point’ has grown considerably this year. I like the height, but not the shape of these trees and how to prune them properly is a mystery to me. Last December the junipers were decorated for the holiday season, but not yet this year. This picture is from last year’s GBFD post. Juniperus chinensis ‘Blue Point’ (Blue Point Juniper). Lavender is in left foreground. 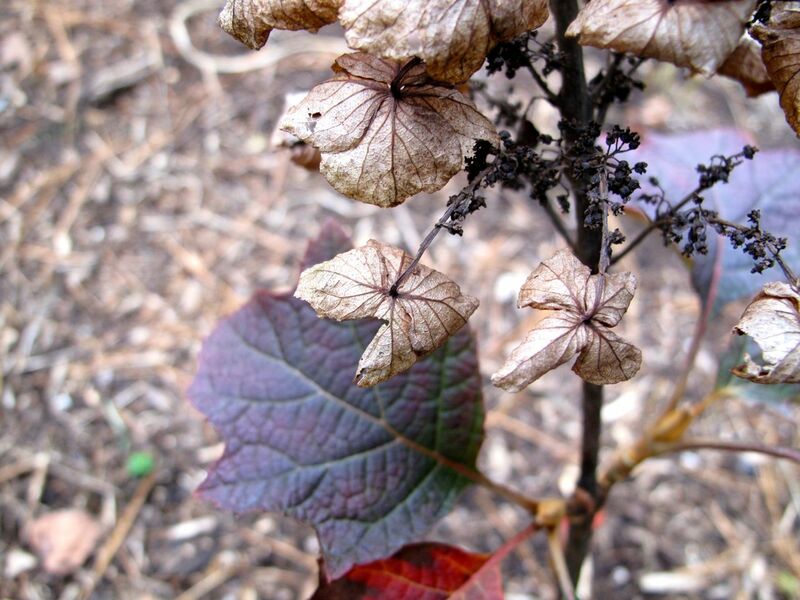 The small Hydrangea quercifolia ‘Ruby Slippers’ in the Western border continues holding on to its rich fall color. Some of the gardenia hedge is not doing well along the Western border where many bushes never recovered from the deep cold last winter. A couple are looking fairly green, but others look miserable. I read it is possible to cut them to the ground to rejuvenate them and may give it a try for those worst affected. This Gardenia jasminoides ‘Chuck Hayes’ is doing well. This Gardenia jasminoides ‘Chuck Hayes’ needs rejuvenation. 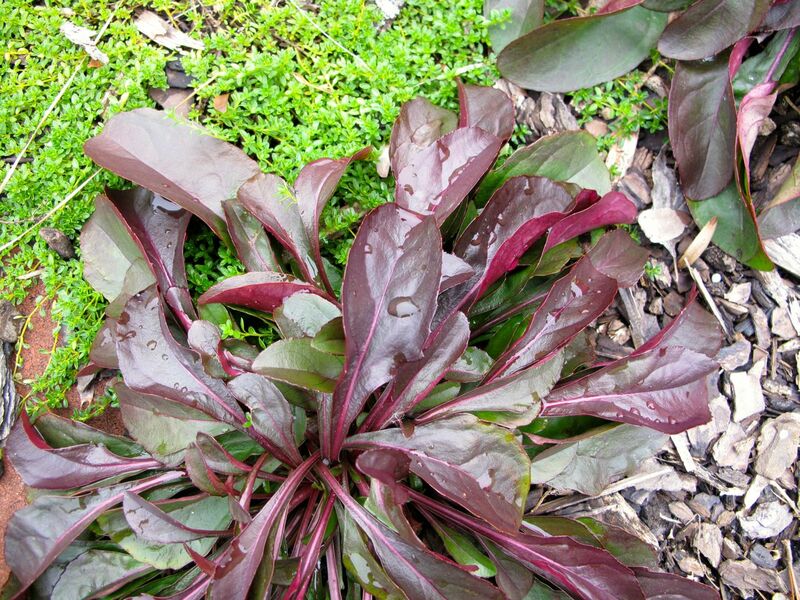 In the meditation circle many Penstemon digitalis ‘Husker Red’ (Beardtongue) have volunteered. I keep moving them around into different areas of the garden. 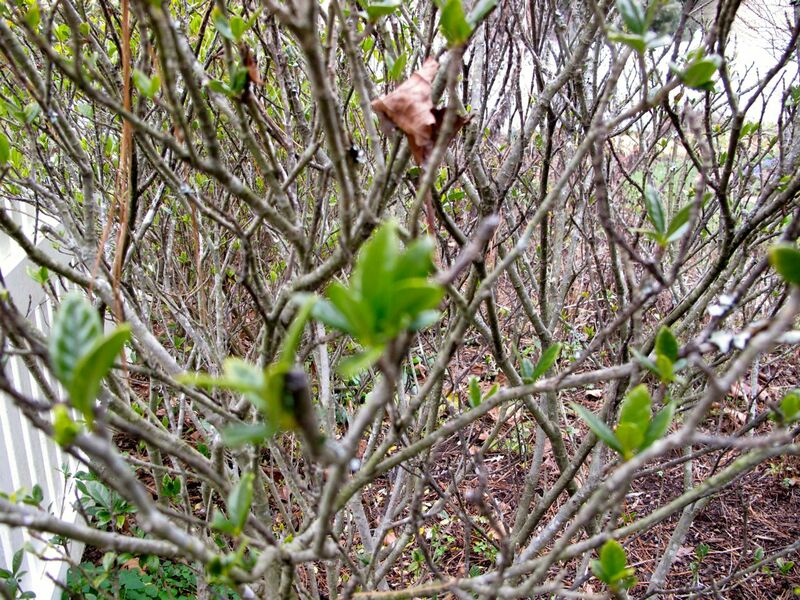 The foliage stays colorful and healthy through most of the winter. When we moved here the front foundation shrubs were underplanted with a row of Liriope spicata (creeping lilyturf). 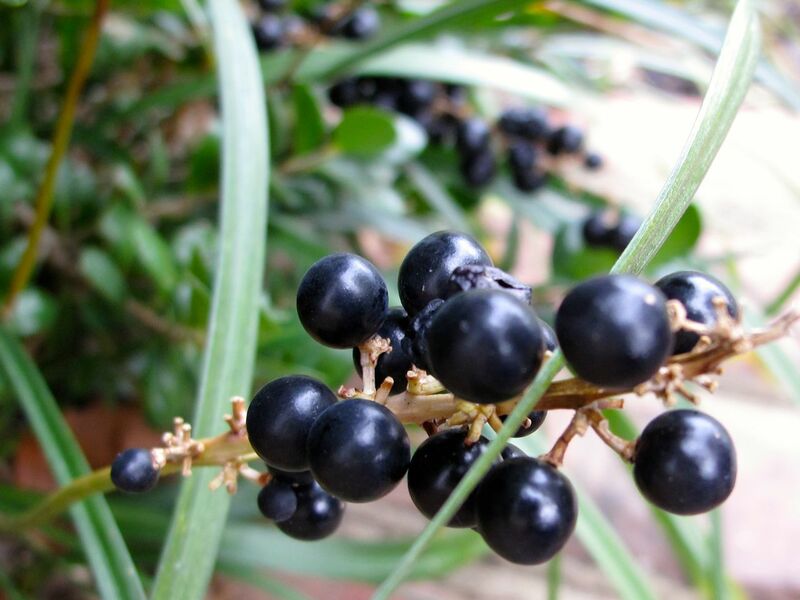 This spreads by runners and is a difficult plant to remove or even contain but it does have attractive fruit this year. Sedum ‘Autumn Joy’ (Herbstfreude) is nearing the end of its usefulness for 2014. I really like its early green florets and enjoy watching it move from pink to dark red. I have left its browned flowers alongs with many other plants for birds. 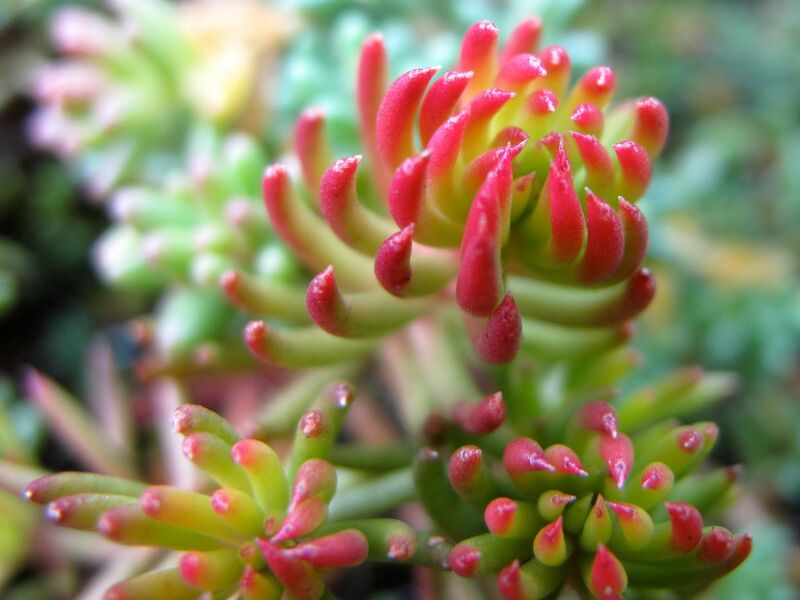 This sedum maintains a brighter, more colorful presence in the garden. 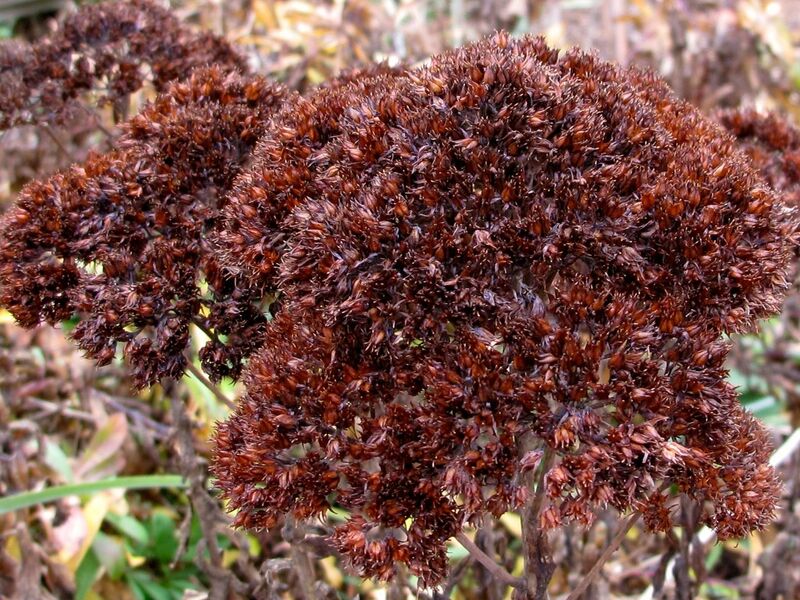 It is Sedum rupestre ‘Angelina’ (Angelina Stonecrop). Most of it is yellow, but some tips are bright pink. 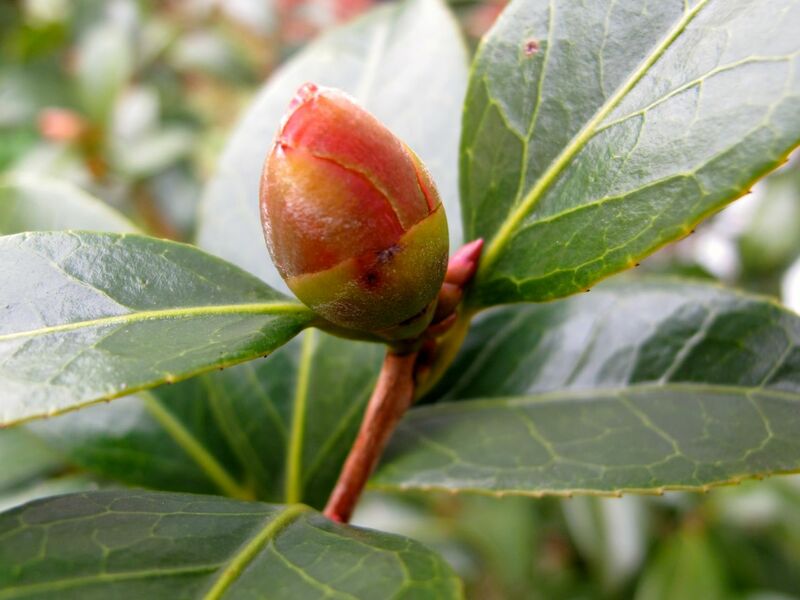 On the north side of the house this camellia hybrid is full of buds. An unusually cold winter kept this from blooming last year so I hope 2015 will be kinder to it. 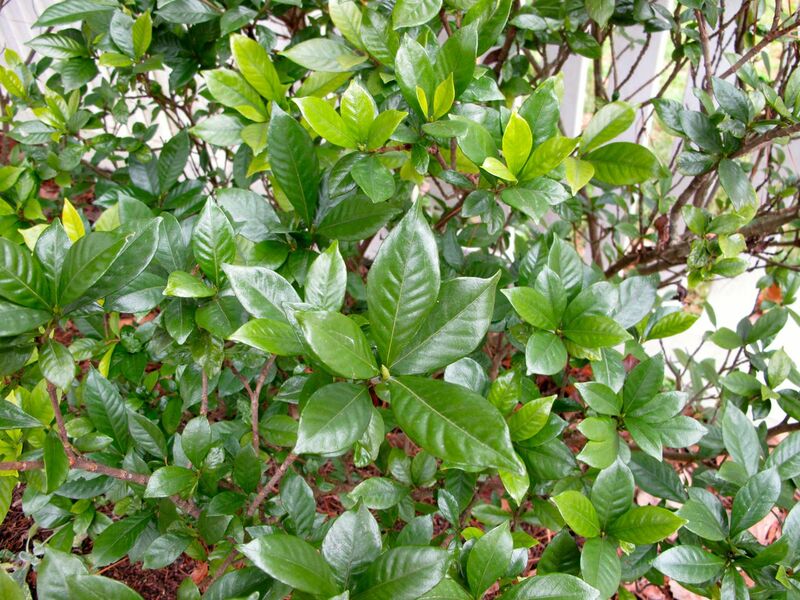 Its green leathery leaves are glossy and attractive year-round. Thanks to Christina for hosting the GBFD review. Visit her to see what foliage she and others are featuring this month. This entry was posted in garden and tagged almanac, Blue Point Juniper, camellia x 'Coral Delight', Garden Bloggers Foliage Day, Gardenia jasminoides 'Chuck Hayes', GBFD, Lagerstroemia (Crape Myrtle), Penstemon digitalis 'Husker Red' (Beardtongue), Sedum ‘Autumn Joy’ (Herbstfreude), winter solstice on December 21, 2014 by pbmgarden. 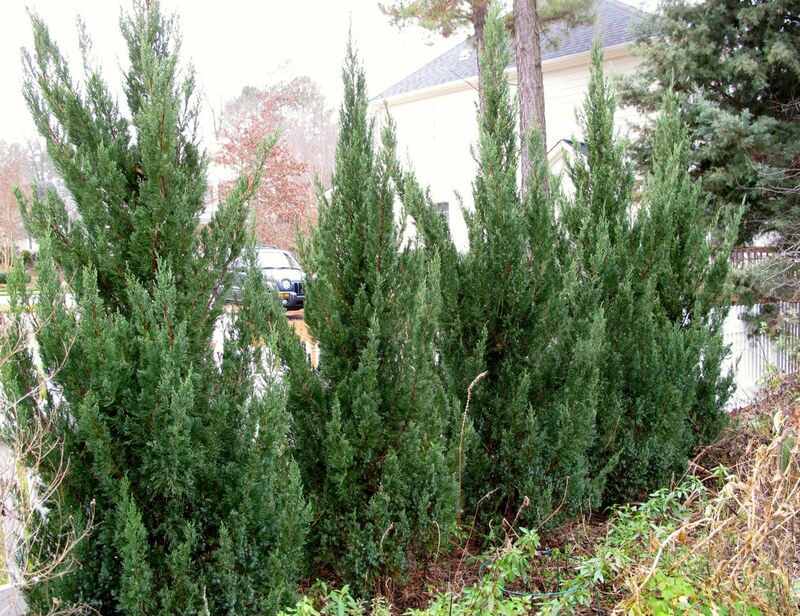 Planted as a screening hedge several years ago this row of evergreens makes a nice seasonal focus in the garden. The pyramidal-form trees are Juniperus chinensis ‘Blue Point’ (Blue Point Juniper). They need a nice trim but I have yet to figure it out precisely how to prune them. Today is the Winter Solstice in the Northern Hemisphere and a strange one here. I read the high today of 74°F shattered a record of 71°F set in 1967. At a time of year when 52°F is the normal temperature, it was a treat to have meals on the screened porch and watch the cardinals at the feeders. And before it starts getting cold again, there is one more warm, but overcast, day ahead. The forecast for Sunday—77°F. 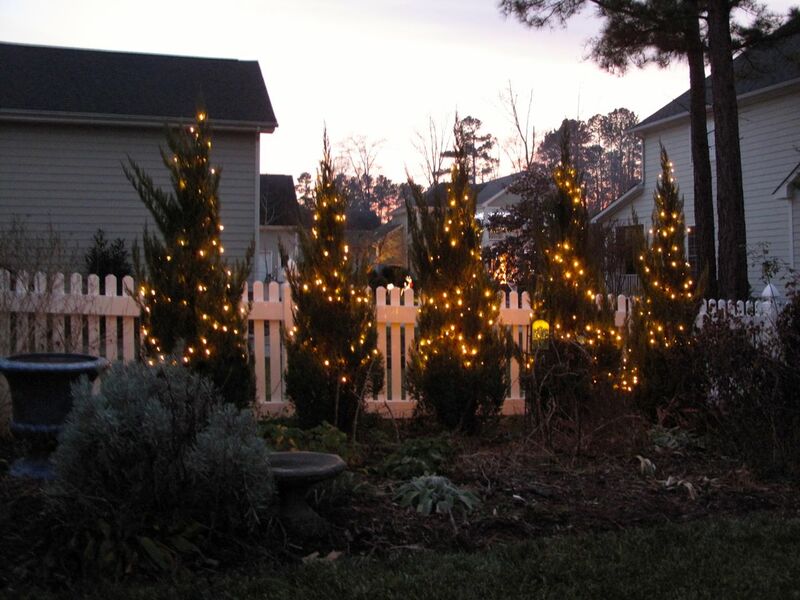 This entry was posted in garden and tagged almanac, Blue Point Juniper, Garden Bloggers Foliage Day, GBFD, winter solstice on December 21, 2013 by pbmgarden.